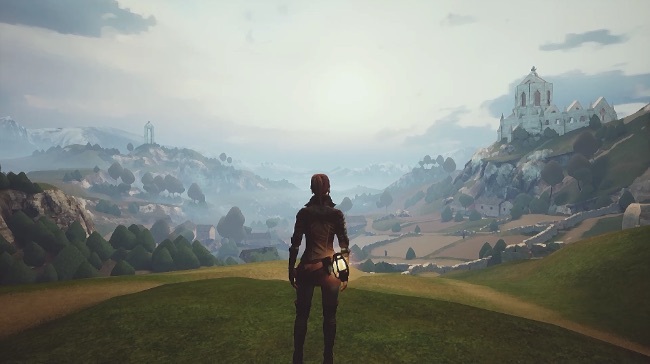 Drawing inspiration from Gothic, Tomb Raider, Legend of Zelda and Ico, Esothe is a beautiful, mystical explorative puzzle platforming adventure set in a mysterious forgotten land. In the game you take control of a lone wanderer as se searches for orbs to activate a strange ancient contraption. The game world can feel a little empty at times and your character can’t really do much other than run and jump, but exploring the world and discovering the secrets of Esothe is a captivating experience. A lot of work has clearly gone into creating the game world – not only is it packed full of jaw dropping vistas, but it’s riddled with secret passageways and interesting little details to discover. It could do with being fleshed out a little (just a little though), but even as it stands Esothe is a fantastic exploration based puzzle platforming adventure. It feels a little like a more chilled out combat-free take on Tomb Raider with an Ico-esque “subtracting design” approach to the gameplay. It takes around 30/45 minutes to play though and the entire time it’s an absolute delight to lose yourself in its fascinating, captivating and stunning game world. Highly recommended.